Scythe collaborates with ASUS and presents two TUF Gaming Alliance CPU coolers – the Choten TUF Gaming Alliance and Kotetsu Mark II TUF Gaming Alliance coolers. 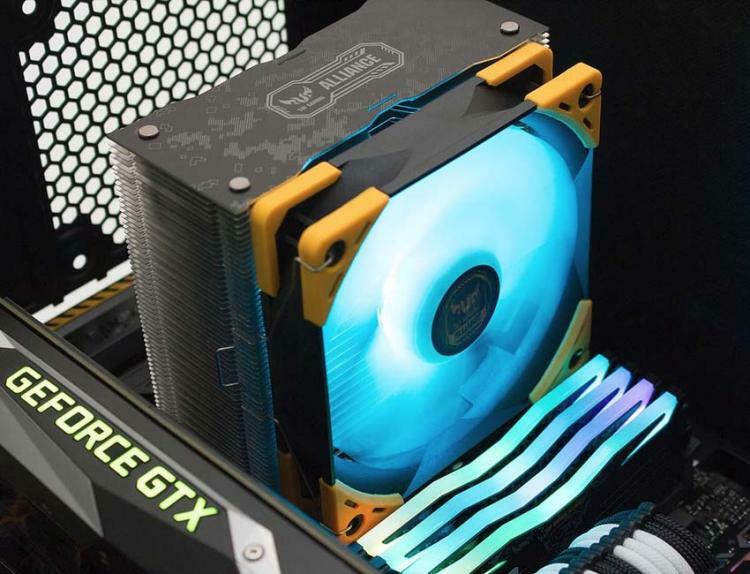 The Scythe Choten TUF Gaming Alliance cooler features a top-flow design with a single 120mm RGB cooling fan that blows cool air into the CPU and surrounding components. The Scythe Kotetsu Mark II TUF Gaming Alliance is a compact tower cooler with a single 120mm RGB cooling fan. Both coolers feature the TUF Gaming Alliance styling and are Scythe’s first batch of RGB air coolers. 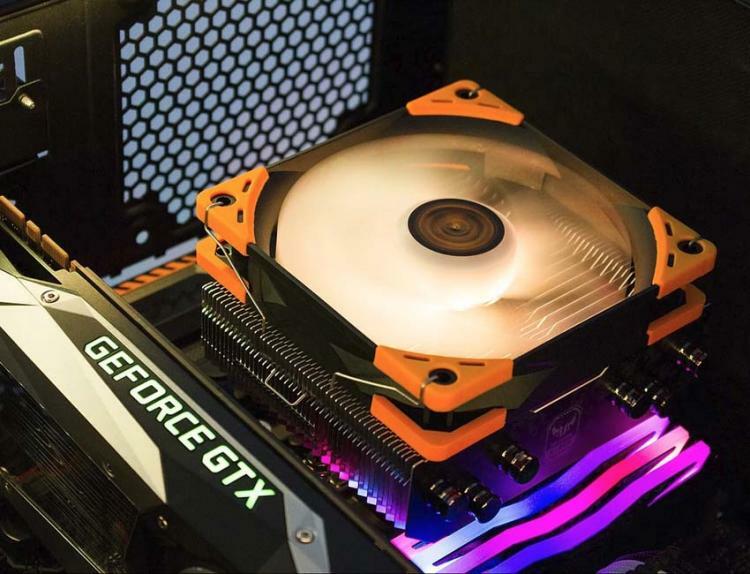 The Choten TUF Gaming Alliance CPU Cooler’s downward airflow provides cooling not only to the CPU but also to the critical components surrounding the CPU socket including the VRM and memory modules. It features a different mechanism compared to the original Choten Top-Flow Cooler which is the H.P.M.S. III mounting mechanism offering a convenient and user-friendly installation process and ensures a perfect contact pressure on all supported CPU sockets. Scythe also applies a special design that improves memory compatibility. The Choten TUF Gaming Alliance comes bundled with a Kaze Flex 120 PWM RGB Fan that features Sealed Precision FDB bearings and TUF Yellow rubber pads for anti-vibration purposes. The TUF Gaming Alliance edition of the Kotetsu Mark II cooler, featuring a compact tower design with unlimited memory compatibility having zero interference with the DIMM slots. The TUF Gaming Alliance version of the cooler is 6mm smaller than its original version making it more compact thus improving its compatibility with standard PC cases. The Kotetsu Mark II TUF Gaming Alliance also features the H.P.M.S. III mounting mechanism and comes bundled with the Kaze Flex 120 PWM RGB Fan with TUF Yellow rubber pads on its frame. The Scythe Choten TUF Gaming Alliance cooler MSRP at $49.95USD while the Kotetsu Mark II TUF Gaming Alliance cooler gets $44.95USD. No information on availability as of this writing. Learn more about Scythe’s TUF Gaming Alliance lineup here.